Cosplay isn’t a new phenomenon — for pretty much as long as there’s been fandom, there’s been cosplay. These retro cosplay photos, posted on 4chan’s cosplay board, prove it! We’ve compiled the best here for your perusal, from events ranging from WonderCon to WorldCon from the 70s to the 80s. 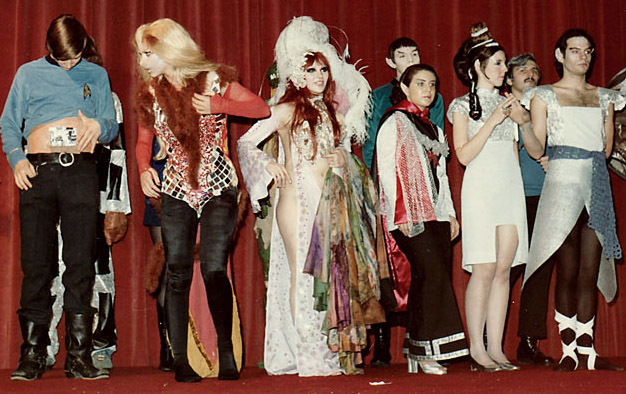 You’ll notice some patterns — Red Sonja was a very popular cosplay choice for ladies back then, and Vulcans and Elric of Melnibone were popular for men. You can even see cosplay mainstays like Orion slave girls. 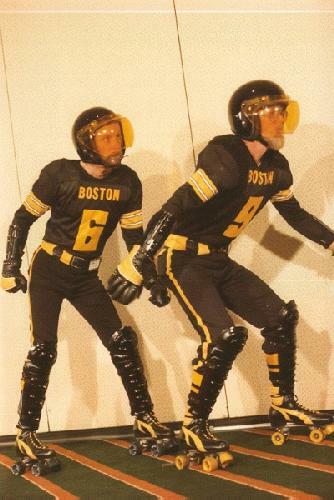 It’s almost comforting to know that people have been dressing themselves up like fantasy and scifi characters for this long — it means that there have always been incredibly nerdy people in the world. A Star Trek convention in the 70s. Yes, that’s George Takei judging. Dark Phoenix looking particularly sullen. WorldCon, 80s. Orion slave girl with some nerd at a Star Trek con in the 70s. More 70s Star Trek. Lots of Vulcans! Red Sonja! This particular Sonja is Wendy Pini, who would go on to illustrate the classic ElfQuest. Elric of Melnibone and his consort Cymoril. WorldCon, 70s. Ming the Merciless and Maleficent. 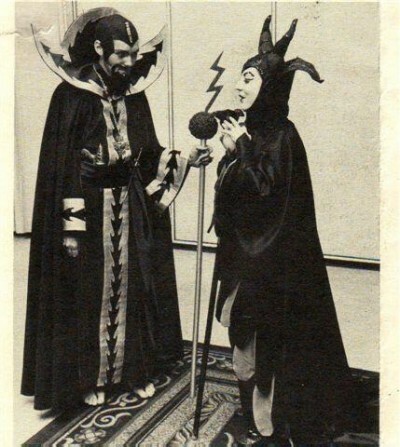 WorldCon, 70s. 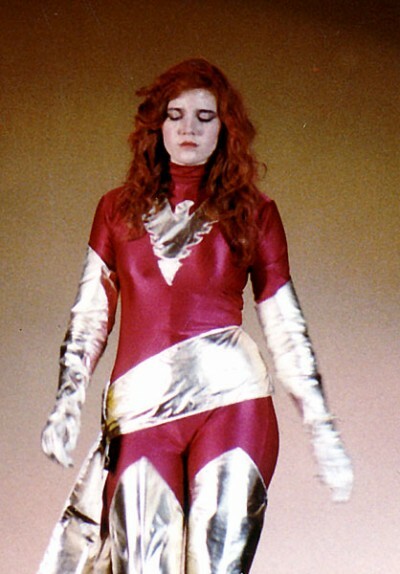 Comic book and movie characters weren’t the only cosplay subjects — here you can see a woman dressed as National Lampoon’s comic strip character “Danger Rangerette”. 70s. Several Red Sonjas and a lucky wizard. 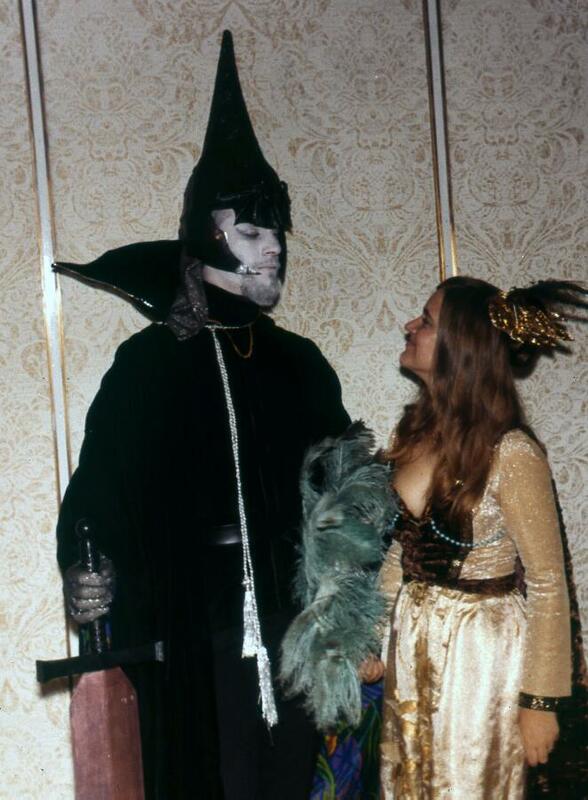 WorldCon, 70s. Lastly, a classic — Doctor Who, K-9, and Leela. WorldCon, 70s. Michael Sacco is a freelance editor and writer, currently working as senior editor at WoW Insider.